FOR IMMEDIATE RELEASE: York, PA – September 16, 2010 – The City of York and Ostara Nutrient Recovery Technologies Inc. will officially open a new Nutrient Recovery Facility at the York Wastewater Treatment Plant (York WWTP) today at 11:30 a.m. This unveiling will mark the opening of the second facility in the nutrient-sensitive Chesapeake Bay watershed. 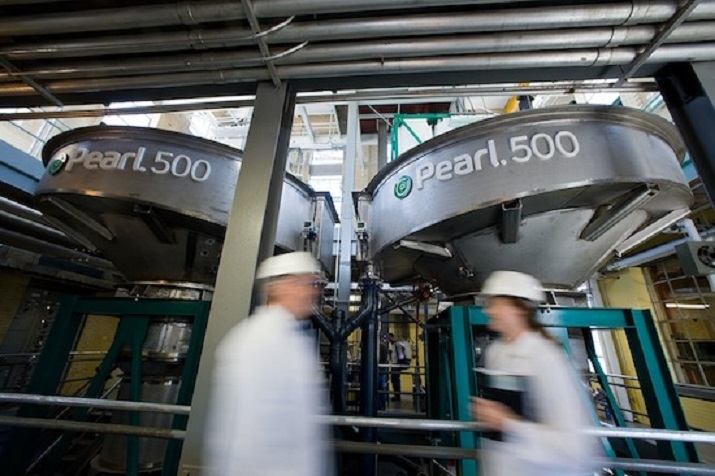 Ostara’s technology, called the Pearl® Nutrient Recovery Process, recovers phosphorus and ammonia from wastewater streams and transforms them into an environmentally-friendly, slow-release fertilizer marketed and sold by the Company as Crystal Green®. This technology will help the York WWTP cost-effectively meet their nutrient limits and help protect the Chesapeake Bay watershed by providing an environmentally sensitive solution to effectively remove excess nutrients, while producing a fertilizer that releases slowly and eliminates run-off. According to the Chesapeake Bay Foundation, the discharge of excessive nutrients, such as phosphorus, causes algae blooms that choke surrounding marine life and upset the natural ecosystem. This is considered one of the most serious problems affecting the Bay. Ostara board member, environmental advocate and attorney Robert F. Kennedy, Jr. will serve as the keynote speaker, and Pennsylvania Governor Edward G. Rendell and Chairman of the York Sewer Authority, JT Hand, will provide remarks at today’s grand opening, which will be held at the York City Sewer Authority Utilities Park. The launch of the Ostara Nutrient Recovery Facility at the City of York WWTP marks a unique public/private partnership where Ostara has designed, built and financed the nutrient recovery facility. The City of York has agreed to pay a monthly fee for treatment capacity provided by the Ostara system, which is less than what was previously required to deal with costly maintenance resulting from the damaging buildup of struvite scale in pipes and valves. This will help the York WWTP efficiently meet their nutrient limits, reduce operational costs and optimize the plant’s efficiency. These nutrient recovery benefits are provided without the City of York having to make any capital investment in the system. The City of York will also receive revenue for the production and sale of Crystal Green, effectively transforming the problem of excess nutrients into a valuable product. The York WWTP and Ostara Nutrient Recovery Technologies Inc. successfully completed a demonstration project in April 2008. Ostara’s Pearl Nutrient Recovery Process effectively reduced the nutrient load in the liquid wastewater stream, reducing the phosphorus concentration by 93 percent and ammonia by 15 percent. Based on the results of this pilot project, the City of York and Ostara agreed upon a unique service fee agreement, whereby Ostara designed, built and financed the facility for a monthly fee based upon performance, without incurring capital costs or technical risks upon the City of York. The York WWTP is Ostara’s third commercial facility in the United States; the others are located in Tigard, Oregon (near Portland) and Suffolk, Virginia. The company has successfully demonstrated the technology in several locations in the United States, and in Europe and Asia. Ostara Nutrient Recovery Technologies Inc. designs, builds and sells a new generation of water treatment systems – a nutrient recovery solution that creates value from waste by removing nutrients from wastewater and transforming them into revenue-generating, environmentally-friendly commercial fertilizer, called Crystal Green®. Ostara is backed by VantagePoint Venture Partners in the U.S. and Frog Capital in the UK. 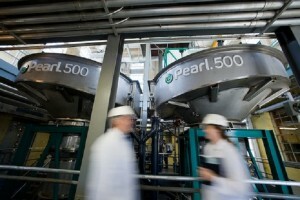 In September 2010, Ostara was named a 2011 Technology Pioneer by the World Economic Forum. In 2009, Ostara was named one of the Top 100 Global CleanTech Companies by The Guardian, a London-based media group. For more information: visit www.ostara.com and www.crystalgreen.com. The York WWTP provides wastewater services for more than 125,000 residents in municipalities including York City, Spring Garden Township, North York Borough, West York Borough, West Manchester Township, Manchester Township and York Township. The York WWTP has a design flow of 26 million gallons per day (MGD) and employs biological nutrient removal to meet the strict discharge limits required in the Chesapeake Bay watershed.